Want to get the biggest college bang for your buck? Kiplinger.com, the personal finance magazine, has ranked UC San Diego No. 4 among the Top 30 best educational values among public universities in the west and southwest. UCSD also ranked No. 14 on the national list. The top three in the west and southwest are UCLA, UC Berkeley and the University of Washington. 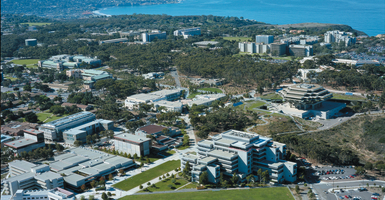 In all, six University of California campuses rank among the Top 10. The University of North Carolina, Chapel Hill, was top ranked in the nation. UCLA ranked fifth for the whole country. Planning to send your student off to school soon? Here’s Kiplingers cost comparison tool to help you make your decision financially sound.